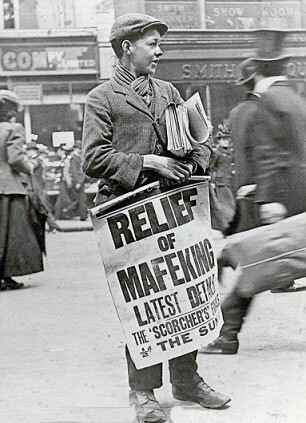 Date of the Siege of Mafeking: 14th October 1899 to 16th May 1900. Place: Mafeking lies on the railway north to Rhodesia, in the Northern tip of Cape Colony in South Africa, near to the Bechuanaland border. 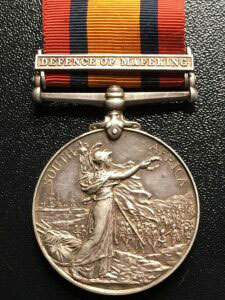 Combatants at the Siege of Mafeking: British against the Boers. 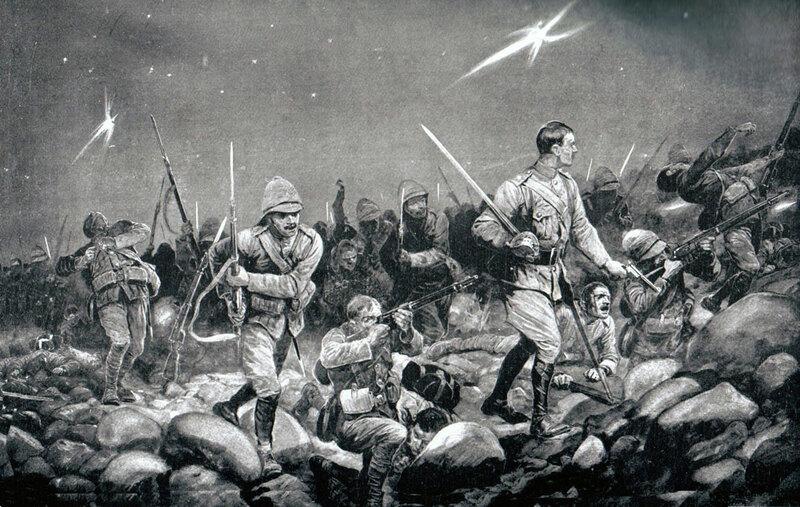 Commanders at the Siege of Mafeking: Colonel Robert Baden-Powell against General Cronje and from November 1899, General Snyman. 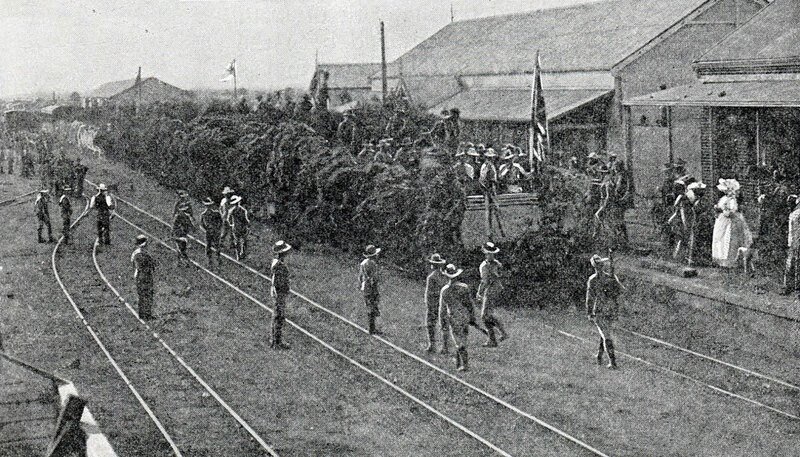 Size of the forces at the Siege of Mafeking: 1,500 British colonial troops against initially 7,500 Boers, reduced in November 1899 to 1,500. 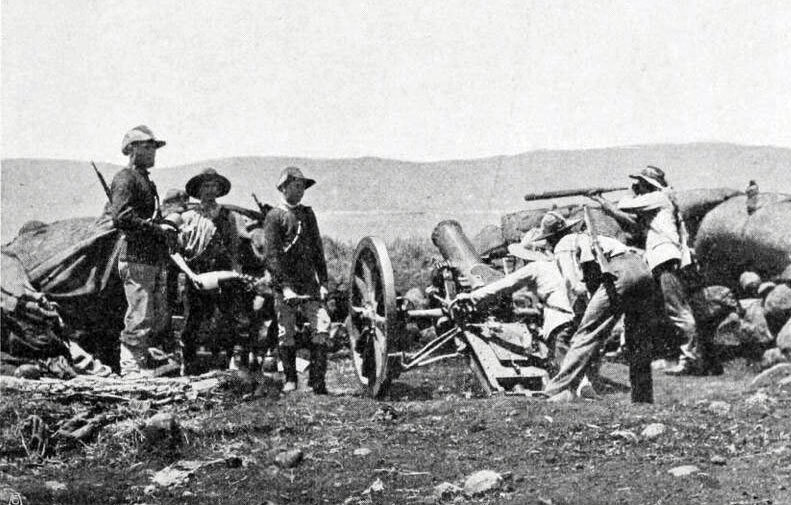 Uniforms, arms and equipment at the Siege of Mafeking: The Boer War was a serious jolt for the British Army. 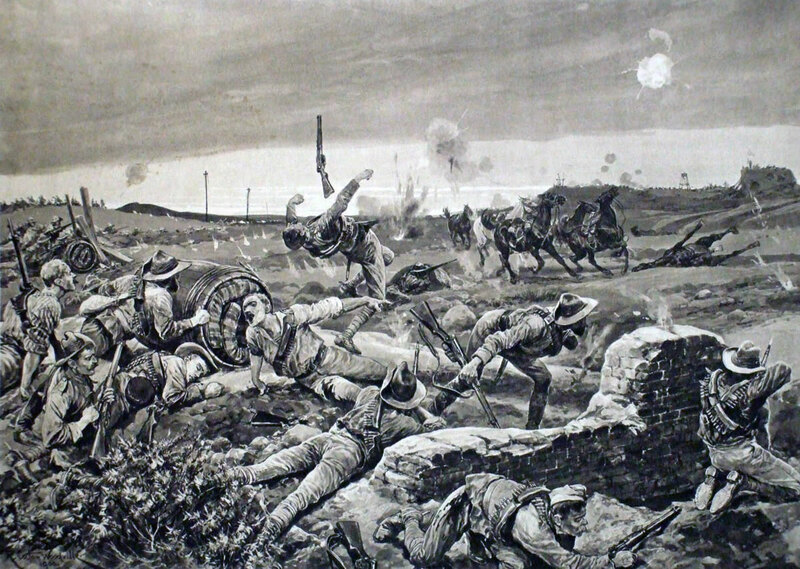 At the outbreak of the war British tactics were appropriate for the use of single shot firearms, fired in volleys controlled by company and battalion officers; the troops fighting in close order. The need for tight formations had been emphasised time and again in colonial fighting. In the Zulu and Sudan Wars overwhelming enemy numbers armed principally with stabbing weapons were easily kept at a distance by such tactics; but, as at Isandlwana, would overrun a loosely formed force. These tactics had to be entirely rethought in battle against the Boers armed with modern weapons. In the months before hostilities the Boer commandant general, General Joubert, bought 30,000 Mauser magazine rifles and a number of modern field guns and automatic weapons from the German armaments manufacturer Krupp and the French firm Creusot. The commandoes, without formal discipline, welded into a fighting force through a strong sense of community and dislike for the British. Field Cornets led burghers by personal influence not through any military code. The Boers did not adopt military formation in battle, instinctively fighting from whatever cover there might be. The preponderance were countrymen, running their farms from the back of a pony with a rifle in one hand. These rural Boers brought a life time of marksmanship to the war, an important edge, further exploited by Joubert’s consignment of magazine rifles. Viljoen is said to have coined the aphorism ‘Through God and the Mauser’. 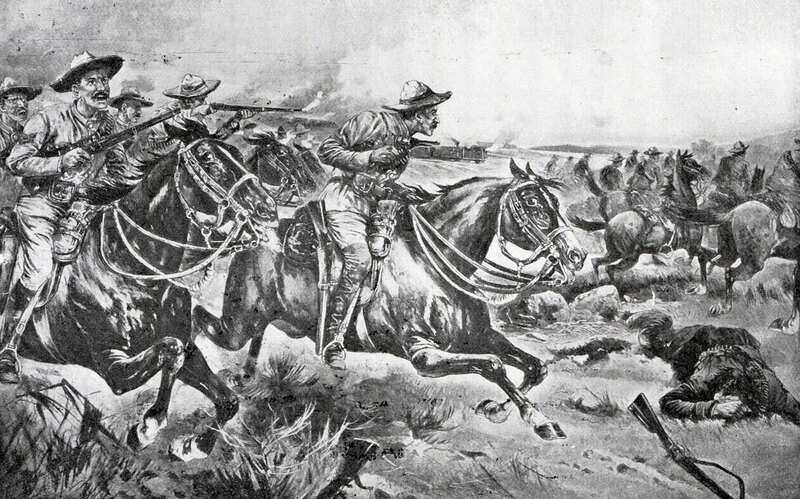 With strong fieldcraft skills and high mobility the Boers were natural mounted infantry. The urban burghers and foreign volunteers readily adopted the fighting methods of the rest of the army. Other than in the regular uniformed Staats Artillery and police units, the Boers wore their everyday civilian clothes on campaign. After the first month, the Boers lost their numerical superiority, spending the rest of the formal war on the defensive against British forces that regularly outnumbered them. 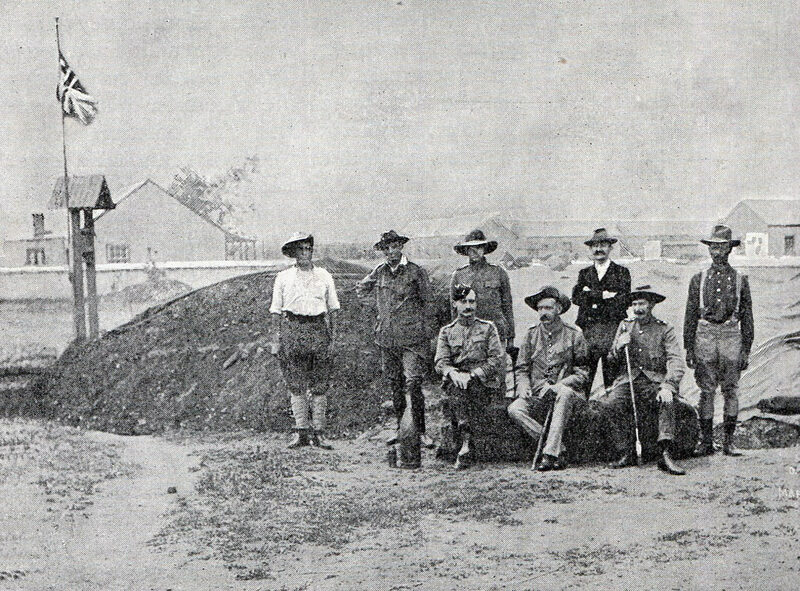 Baden-Powell’s garrison in Mafeking comprised South African police and volunteers, all men with considerable experience of the Boers and with life in South Africa. Winner of the Siege of Mafeking: The British held out until relieved. 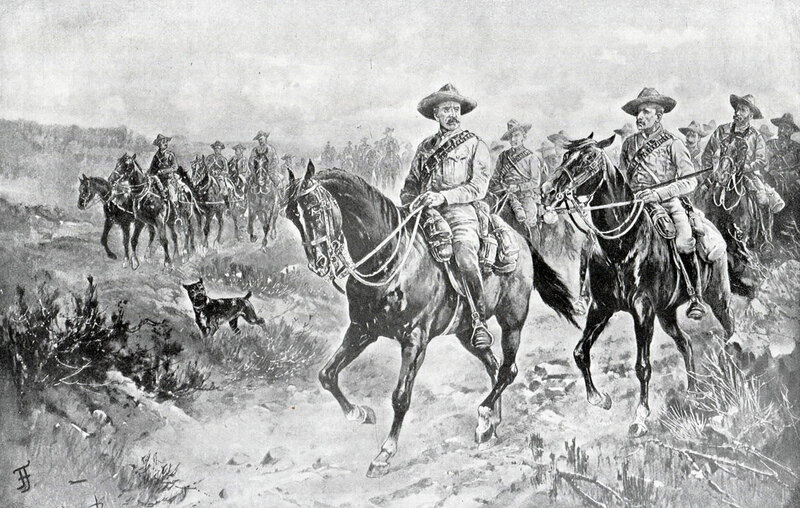 It was planned by the British that, on the outbreak of war with the Boers, Colonel Robert Baden-Powell with two regiments of mounted colonial irregulars would invade the north-western tip of the Transvaal from the Bechuanaland/Cape Colony border, thereby drawing significant Boer forces away from the Boer invasion of Natal. Baden-Powell raised his two regiments, one from Rhodesia, the other from Bechuanaland, but Milner the High Commissioner in Cape Town changed the scheme, requiring Baden-Powell to garrison Mafeking and resist any attempt by the Boers to capture it. Unlike Ladysmith and Kimberley, the two accidental and disastrous sieges, Mafeking was deliberately allowed to be besieged. Baden-Powell sent Colonel Plumer with the Rhodesian Regiment to a nearby town, Tuli, while he established his Bechuanaland Regiment in Mafeking, with a handful of British officers. His second-in-command was Major Lord Edward Cecil, son of the British Prime Minister, Lord Salisbury. 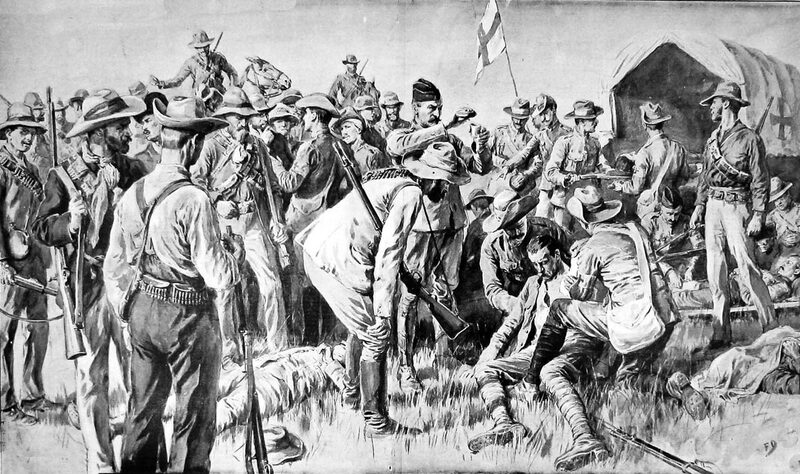 Milner’s plan achieved his aim, in that, while General Joubert attacked the outnumbered British regular troops in Natal, General Cronje marched north-west to Mafeking with 7,500 Boer burghers, a reinforcement that might have been sufficient to drive the British out of Natal, before General Buller could arrive with the re-inforcing British Army Corps. In November 1899, Cronje marched south, leaving the siege of Mafeking to General Snyman and 1,500 Boers. 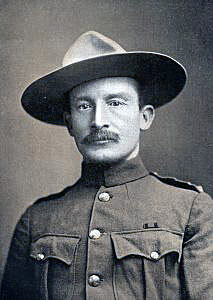 Baden-Powell conducted the defence of the town with great energy and resource, leading the Boers to believe there was a larger garrison than was the case. 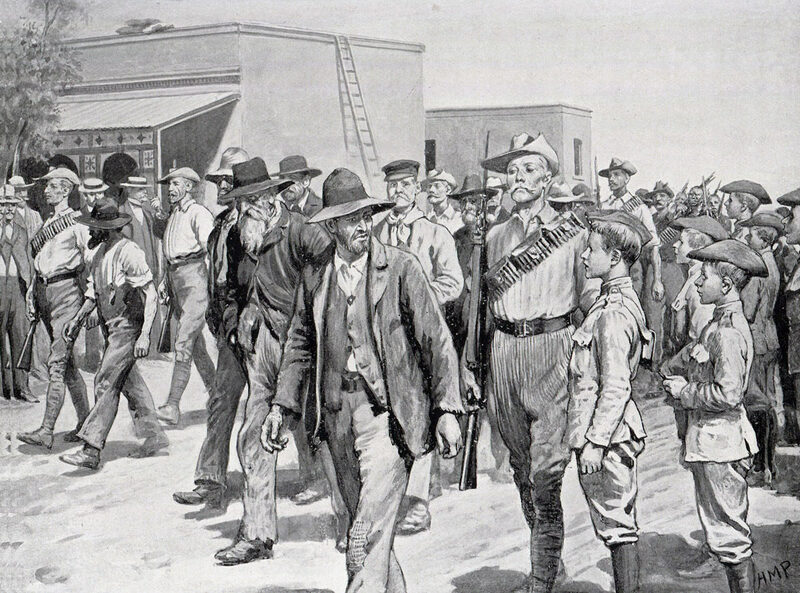 In November 1899, Baden-Powell launched a series of raids on the Boer lines, that caused him some casualties but made the Boers wary of the garrison. 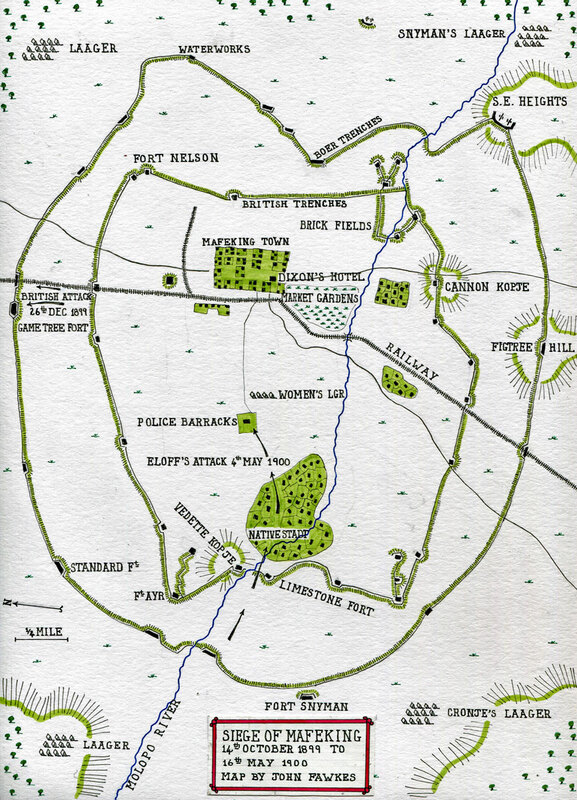 Initially the Mafeking garrison had no artillery. Baden-Powell improvised various items to look like real guns and trains, while engineers manufactured a gun, known as the ‘Wolf’, from a length of steel pipe. 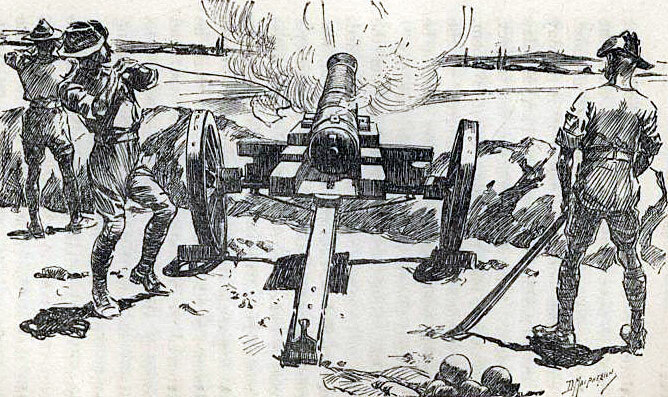 The Boers used the 2 two-inch guns they had captured from Dr Jamieson to bombard the town. 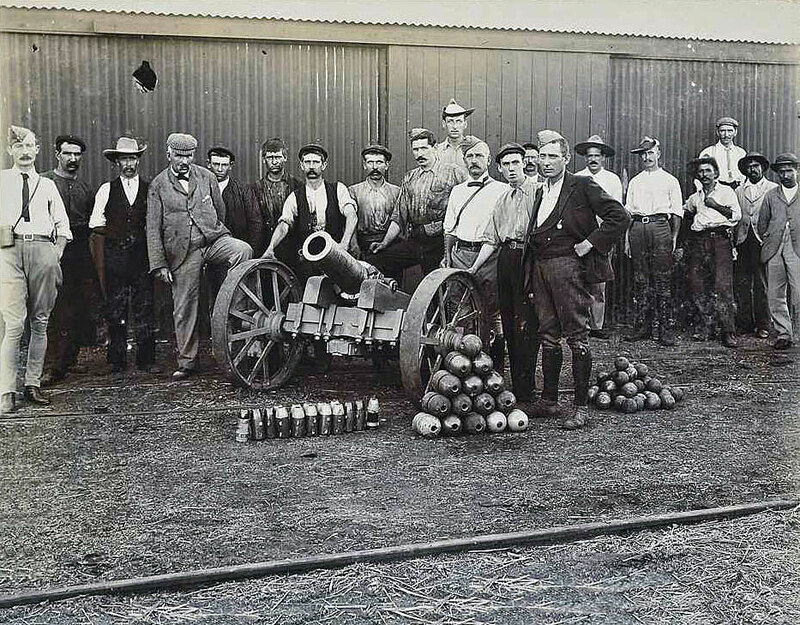 Dud shells fired from these guns were reworked and discharged at the Boer lines from the ‘Wolf’. A British officer found an old muzzle loading naval gun serving as a gate post in the town. 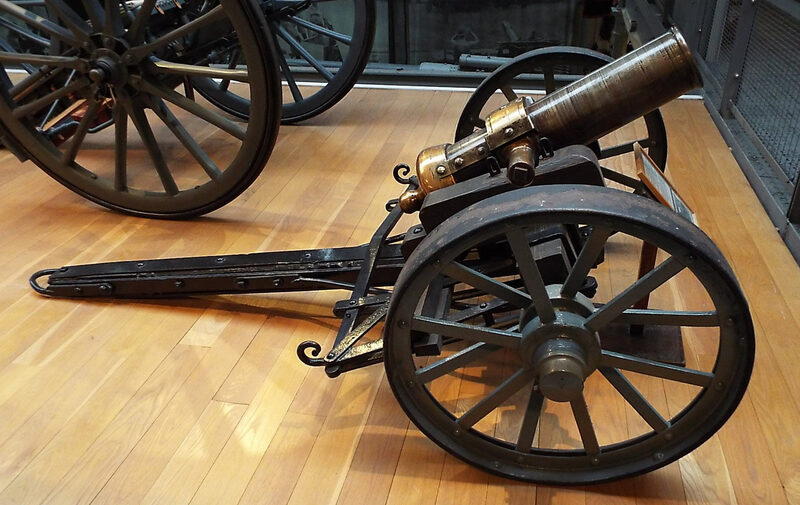 This gun was christened ‘Lord Nelson’ and drafted into service. 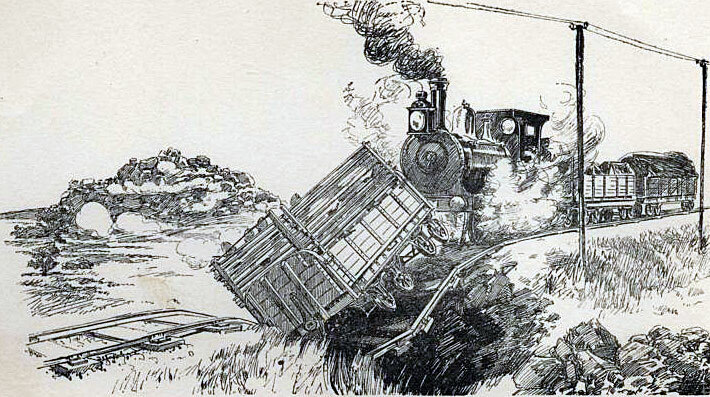 Dynamite grenades were manufactured and thrown at the Boer lines and a small railway line was built across the town. 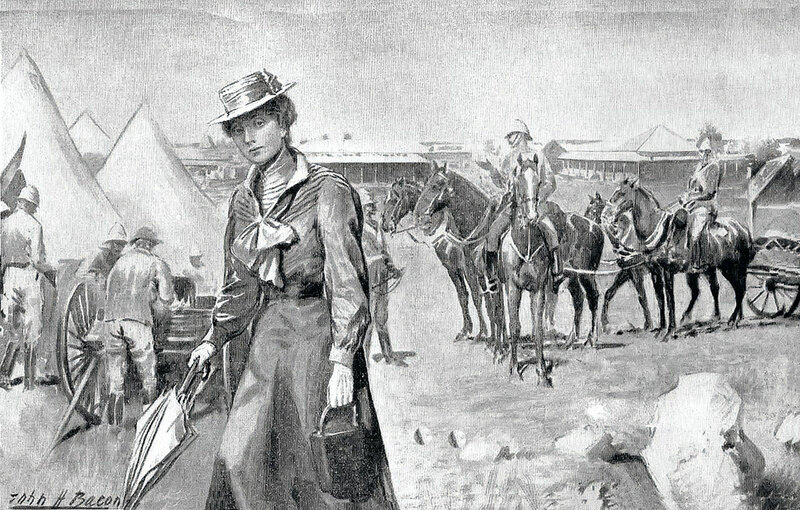 In sharp contrast to the indolent British garrison in Ladysmith, Baden-Powell had his men constantly on the move, raiding the Boer lines and keeping the besiegers on their toes. 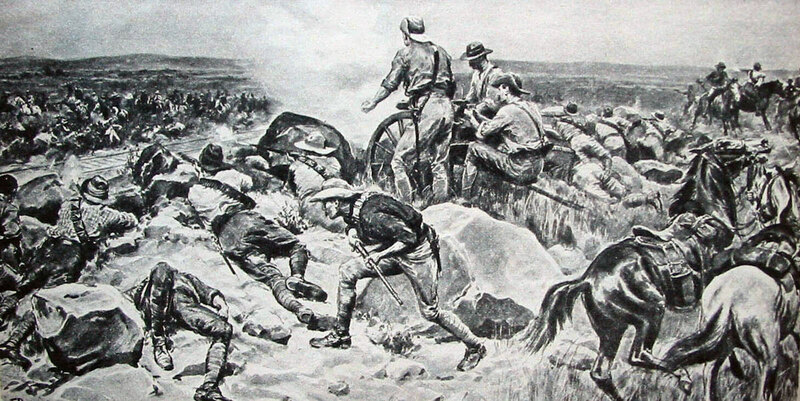 On 26th December 1899, Baden-Powell launched an attack on Game Tree Fort, a Boer strongpoint to the north of Mafeking. Unknown to the garrison, the fort had been significantly strengthened and the attack was an expensive failure. Among the personalities of besieged Mafeking was Lady Sarah Wilson, aunt of Winston Churchill, in South Africa with her army officer husband. Lady Sarah is said to have been conducting spying activities against the Boers, until arrested by General Snyman and exchanged for the captured General Viljoen, held prisoner by Baden-Powell. For the rest of the siege Lady Sarah’s bunker was the social focus of the besieged town and she herself an active member of the garrison. From January 1900, food stocks in Mafeking fell low. Baden-Powell remedied this difficulty by withholding rations from the sizeable Baralong town in the south-west corner of Mafeking (the Native Stadt). On 31st March 1900, Colonel Plumer attempted to fight his way into Mafeking with the Rhodesian Regiment, but was repelled with heavy loss. 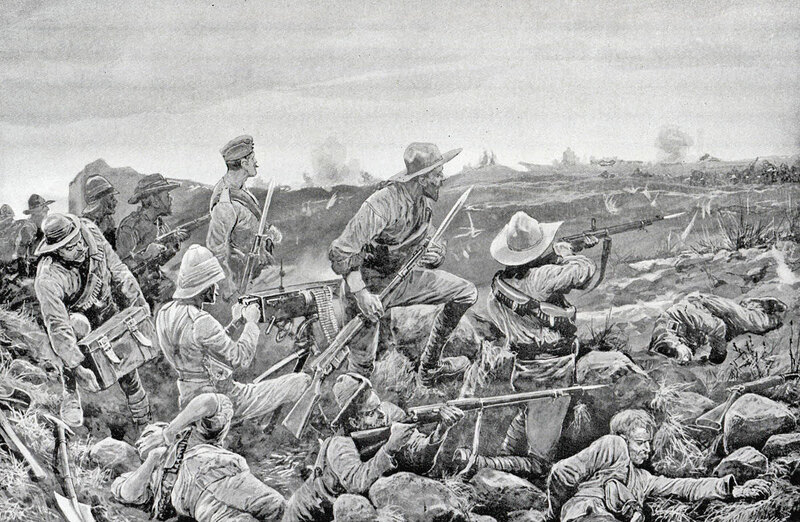 On Saturday 12th May 1900, Field Cornet Sarel Eloff launched the most significant assault on Mafeking, in an attempt to capture the town before it could be relieved by the advancing British force under Colonel Mahon. Few of the Boer burghers were prepared to take part in such a foolhardy expedition. 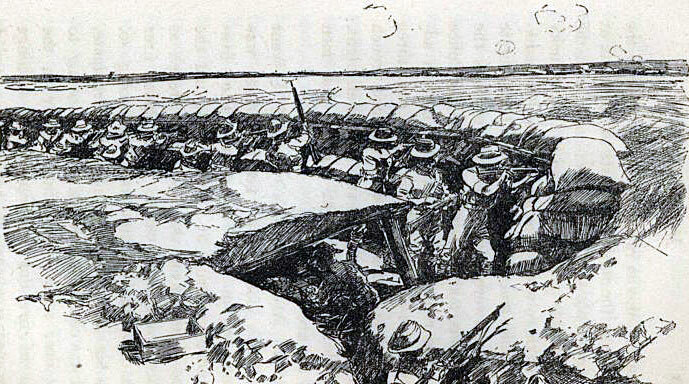 The operation began with a feint assault on the eastern defences of the town by General Snyman. Eloff then attacked through the Baralong town (the Native Stadt) and captured the police barracks in the centre of Mafeking. Eloff’s men set fire to the Baralong huts as they passed through, giving the Mafeking garrison an instant alarm. 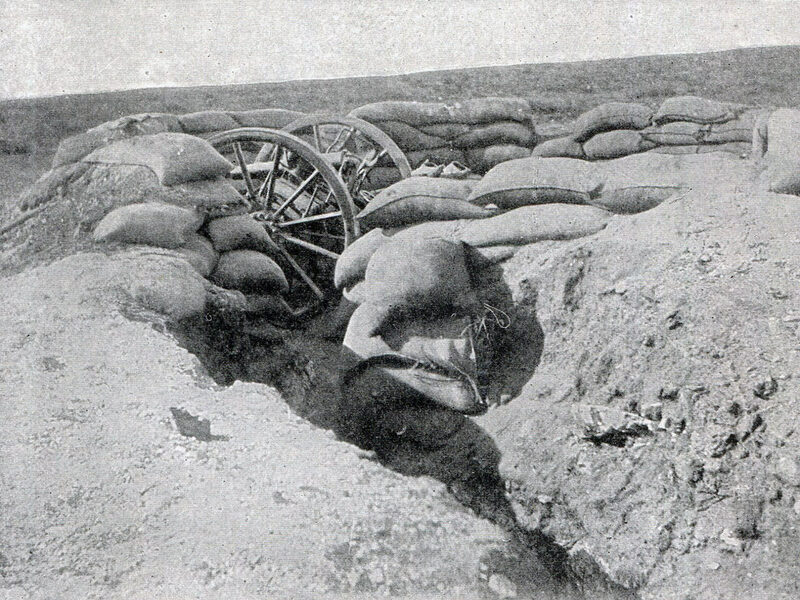 The Boer plan was that General Snyman would launch a further attack on the town’s defences, thereby subjecting the garrison to assaults in front and rear, but this did not materialise. Throughout the rest of the day, fighting raged around the barracks, until Eloff was forced to surrender and the attack collapsed. Eloff was enabled to carry out his boast to his fellow Boers that he would breakfast at Dixon’s Hotel the morning after the attack; but he did so as a prisoner. The following Wednesday, 16th May 1900, Colonel Mahon’s flying column of Imperial Light Horse and Royal Horse Artillery rode into Mafeking, after an epic ride and the siege ended. Robert Baden-Powell attended Charterhouse School. On ‘Founder’s Day’, 4th December 1899, Baden-Powell enquired whether there were any other ‘Old Carthusians’ in the Mafeking garrison with whom he could hold a Founder’s Day dinner. There were none. 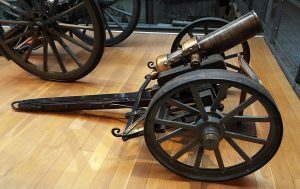 The ‘Wolf’ gun is held in the Royal Artillery ‘Firepower’ Museum currently being installed at Lark Hill in Hampshire. The relief of Mafeking caused ecstatic joy in Britain, out of all proportion to its significance. For a time, the word ‘mafeking’ meant to celebrate excessively. 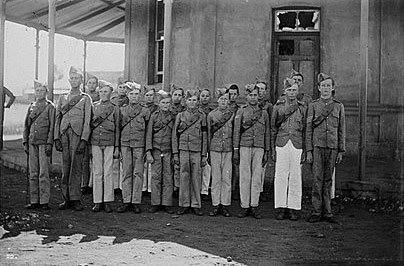 Baden-Powell went on to establish the world-wide Boy Scout Movement, based on the youth corps he set up in Mafeking during the siege.